The end credits of London: The Modern Babylon give some indication of the film’s aesthetic density as a whole. White text scrolls vertically over footage of interviewees and of fireworks displays in the skies over Westminster; having enjoyed and/or endured the previous 2+ hours of its wealth of archive footage, threaded together as an exhaustive and exhausting cine-poem on the multiculturalism and pluralism our capital city has to offer, we might be forgiven for feeling a tad dismayed by just how unreadable the film’s credits are. Given its conceptual and narrative dependence on such a vast array of found material, the decision to overlay what should perhaps be a more contemplative, bibliographic coda with one final dizzying flourish that renders any referencing redundant, is curious indeed. Such a decision is Julien Temple‘s, the documentarian whose directorial credit (he’s also producer and writer) demands some explanation. To my mind, the film’s colossal task/achievement, of arranging and shaping visual and aural records of London into a thematically coherent and historically linear whole, is surely the work of its credited editor, Caroline Richards. 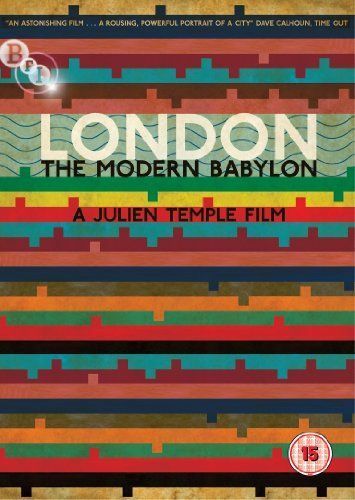 Described as “A Julien Temple Film”, which almost doubles as an official subtitle, however, the film’s creator wants and has it both ways: to present London as a city which makes and tells its own (hi)stories, but also to pile on layer after layer so that, from start to finish, the film is brazenly authorial, doctored, selective. There appears to be a democracy to its madness, and yet it’s the idea of a democratic arrangement of otherwise dissimilar fragments that’s most mad of all. Whatever, whoever‘s vision of London this film is, its archival anarchy seems to be a kind of gratuitous afterthought, an epic thesis which has already been done. The film itself can’t help but reflexively implicate its own futility, continually quoting other sources which themselves aimed at documenting the sprawling city, such as Frank Miller and Harry B. Parkinson’s Wonderful London series (also released by the BFI, and reviewed by us, recently). Furthermore, the quotational framework is loose and liberal: references to the 1974 IRA bomb cue footage from Patrick Keiller’s London (1994), which is concerned at one point with the 1992 IRA bomb. Matching the eclecticism provided by its subject, the film is a frenzied progression of re-interpretation; it is celebratory of change itself. 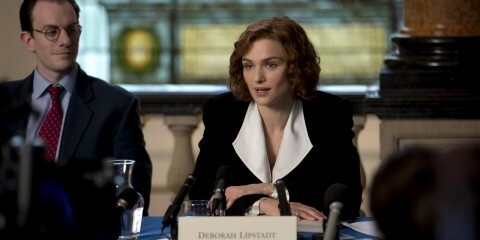 Do we really need another film on London? Maybe not – much less one telling us that it’s the centre of the world – but there are moments of exhilaration here, and the film ticks along happily and energetically with the kind of take-it-or-leave-it attention span of a video installation. There’s a musicality present, even if its rhythm is agitato, and there’s also a whiff of science-fiction to its assemblage of records that immortalised the city in a pre-digital age (filming a city in constant transition, of course, also brings a sense of time-travel, of resisting time itself). In its latter stages especially, the film displays a healthy and incendiary sympathy towards collective rebellion, even if it does stay short of providing some conceptualisation as to how an organised resistance might take on the destructive imperatives of finance capital and the superclass whose emergence it has enabled. Denying nostalgia, the film embraces an internationalist perspective and exposes the stupid racism, both tacit and open, that has sought over the years to “keep Britain British”. London’s modern history has been shaped by an imperialist regime drawing upon and concentrating the labour force of its expansive empire. As the film makes explicit late on, then, the racial tensions that erupt with each new generation of immigrants are embedded within a class war: the real problem of London is its distribution of wealth. Alongside its (unoriginal) observation that the city has moved away from industry and towards finance, the film raises questions of spatial and economic exclusion, and the riots of last summer are legitimately framed as an expression of the disgusting class inequality that drives the capital. London Babylon documents the documents, then, and contributes both to an ongoing artistic project to grasp and (re)shape the city and to London’s own sense of continual reinvention. To this end, the overriding theme that emerges is revolution. The problem here is that though the history is largely linear, the theme is applied laterally; revolution is depicted as a series of fads, especially later on: if two world wars helped solidify the city – as interviewee Tony Benn suggests – then the post-war years are defined by a succession of counter-cultures, none of which are grounded by the film in any real detail, but are instead used as shorthands for a particular historical period. Teddy boys, punks, rockers, suedeheads, skinheads, and so on and so forth all feature briefly and predictably. There’s an even briefer moment given to Roxy Music’s “Do the Strand”, the exhilarating opening track to the band’s second album, but as with all the other musical fragments included in the film, it’s cut short. The film, in this regard, is like the cinematic equivalent of a mash-up night in a commercial nightclub: like London itself, it includes something for everyone without ever having to give them a full meal. Associative editing loads bullets, but Temple doesn’t seem to know what to do once his gun’s ready to fire. In this sense, his film appears readymade for a BBC television slot – and indeed, it aired on BBC Two in August this year. 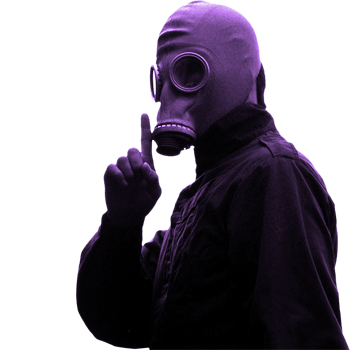 Even considering its limitations, though, London Babylon might be an often-fascinating – and impressively edited – starting point of discovery and re-discovery. The 22-page booklet that accompanies the BFI’s release is impeccably produced, and provides a full list of literary citations, musical sources and films from which footage is included. At points, though, the essays and statements printed in the book – by Jonathan Romney, John Wyver, Miriam Walsh and Temple himself – may be more insightful (and even poetic) than the actual film… or they at least allow for more contemplation. 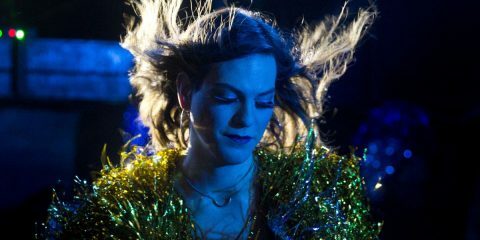 Indeed, though welcome in its ultimate celebration of solidarity and multiculturalism (buzzwords or not), the film itself unfolds with such aesthetic maximalism that its pace and density deny any genuine digestion or consideration of its argument… if it has an argument at all. 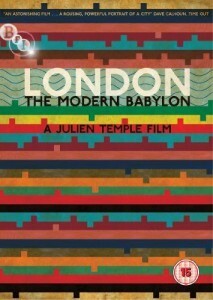 London: The Modern Babylon is released by the BFI on DVD on Monday, 29 October. Michael Pattison is a film critic from Gateshead.